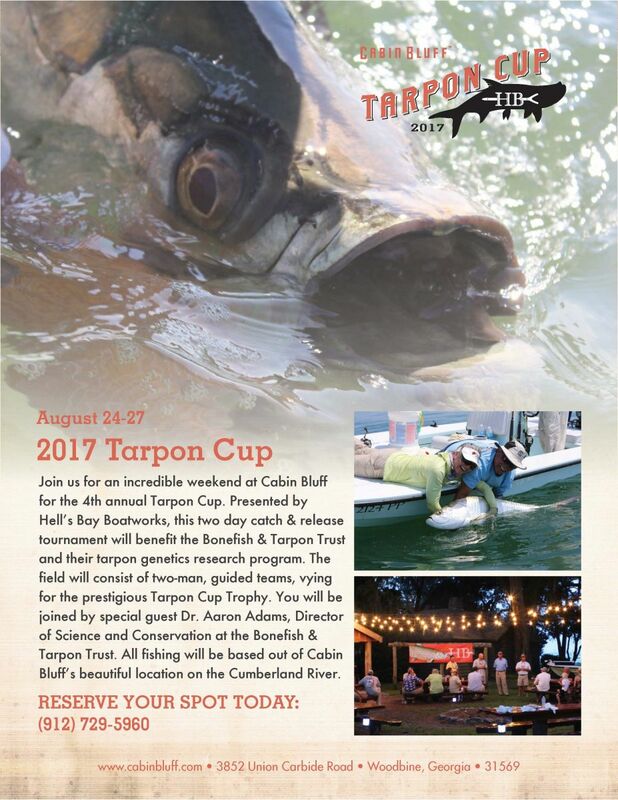 Cabin Bluff’s 4th annual Tarpon Cup is just around the corner! 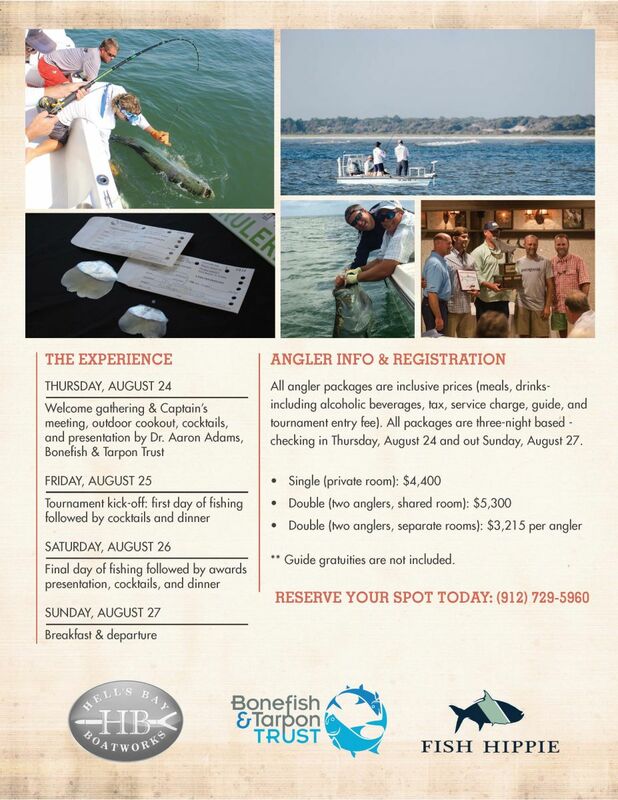 Presented by Hell’s Bay Boatworks, this two-day catch & release tournament will benefit Bonefish & Tarpon Trust and the BTT Tarpon Acoustic Tagging program. The field will consist of two-man, guided teams, vying for the prestigious Tarpon Cup Trophy. You will be joined by special guest Dr. Aaron Adams, BTT’s Director of Science and Conservation. All fishing will be based out of Cabin Bluff and fully guided.